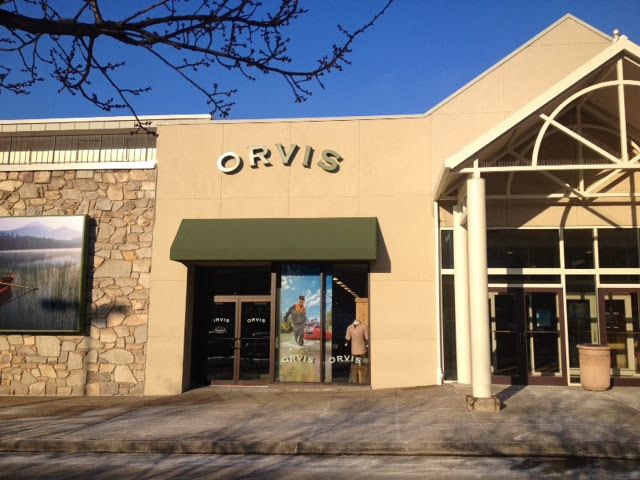 As soon as work was over today, I headed up to the Orvis store in Pittsburgh. I have been rather pumped about tying some flies at the store for a few weeks. Mike Steiner and Garrett Brain had also came down for support while I had tied flies as well. 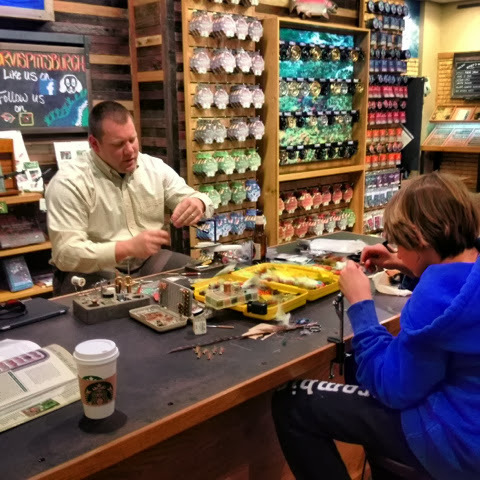 Young tyer, Max had brought his vise in the tie with me at the tying station. 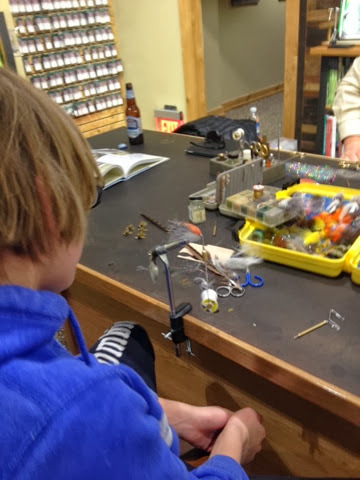 I was very impressed on his fly tying knowledge and skills for his age. My favorite part of the evening was when he first got there and told me he had finished his homework to come down to tie this evening. I will say, he is very passionate about this sport. 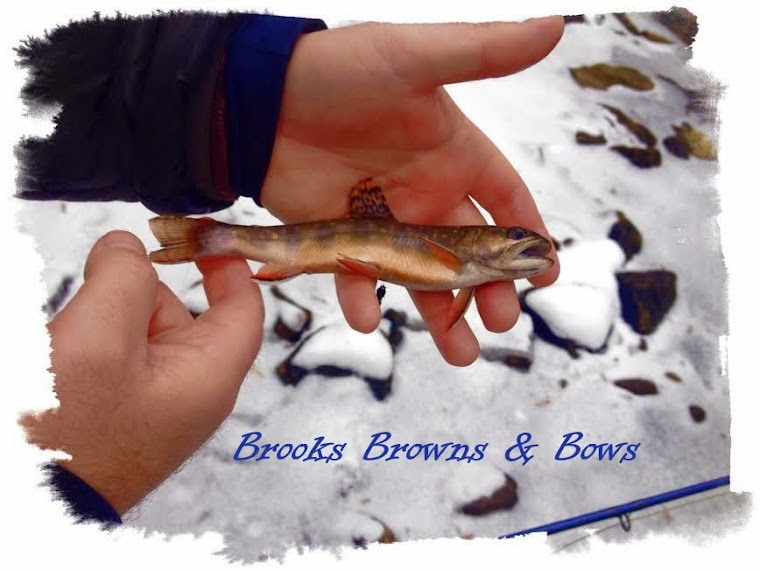 When he had arrived, he expressed interest in tying flies for carp, bluegill, and bass on his local lakes in the area. 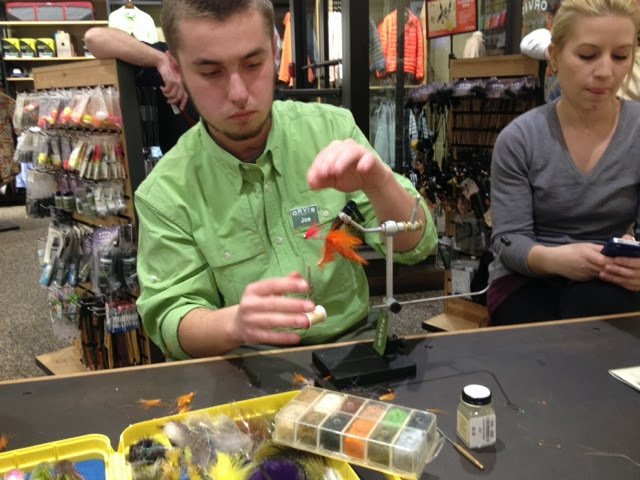 This was a curveball that I did not expect, but nevertheless, I had some ideas for carp flies that I had success on to teach Max. In the photo above, he tied my "LG" streamer pattern. He was a pro. After closing hours, Joe wanted to learn a streamer out of my box. We decided to tie a variation of Strolis's Bloodied Minnow. He did a great job. 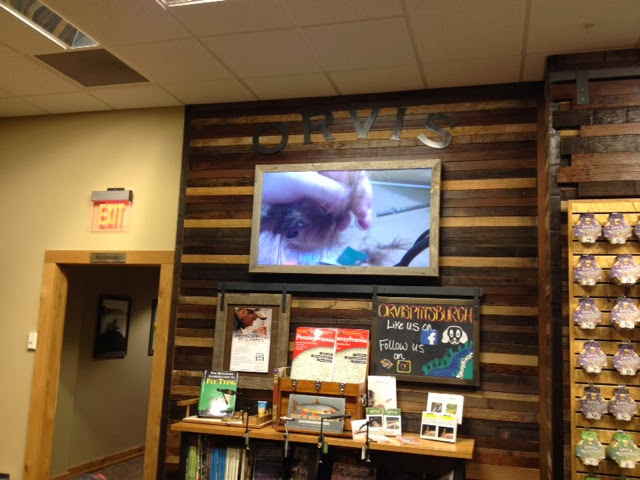 They have a great venue at the Orvis Pittsburgh store for tying, especially with the media center to cast videos such as my "Yough Yeti" while I was tying some flies. I wanted to thank Mike, the manager of the store for the opportunity and look forward to tying again in the next couple weeks.